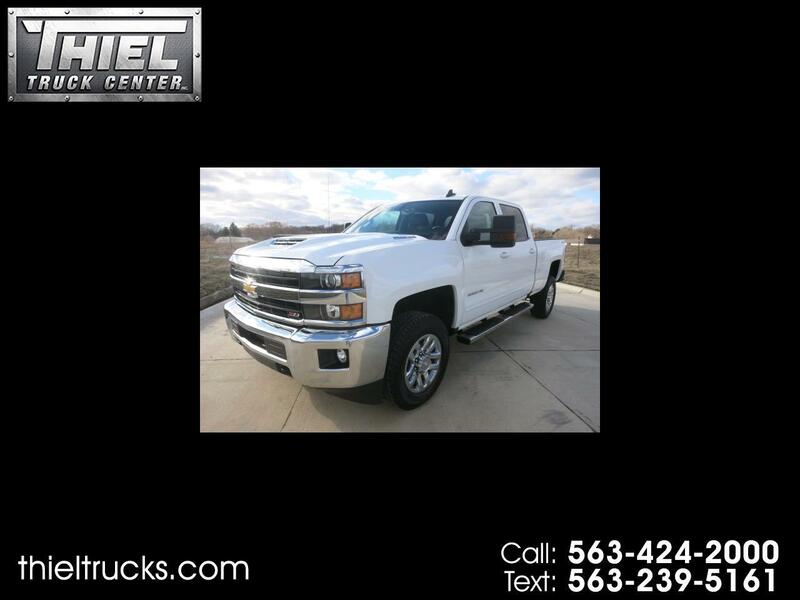 ((((( DURAMAX DIESEL )))) **** MANY OPTIONS ***** FULL WARRANTY **** ((((( GREAT PRICE ))))) Just in is this 2018 Chevrolet 2500HD Crew Cab 4x4 LT Z71 Short bed with the 6.6L Duramax Diesel engine, many options, and only 27k miles. This 2500HD is optioned well with Power seat, Alloy wheels, Step tubes, 8 Inch screen radio, Back up camera, Z71 Off Road Package, Tow package, Trailer brake controller, Tow mirrors, and much more. This Duramax is a 1 Owner, Carfax Certified accident free truck. It also comes with the full balance of the factory bumper to bumper warranty and the 60,000 mile powertrain warranty. This truck is an absolute deal. Most dealers are selling 2015's for the same price as this 2018. Do not let it get away from you. Give us a call or Text us now.